break in your boots/shoes before your hike. Simple, right? If an Appalachian Trail thru-hiker did these things, they might hike for six months without a single blister. As always, the complicating factors are water, humidity, and heat. While on the FT there will be days upon days of hiking through swampy conditions and flooded trail. Mud gets down into your boots. Even when the trail is dry, high humidity prevents footwear from drying quickly and then as your feet sweat, the moisture cannot escape. Keeping your feet dry and clean will be extremely difficult, so special preventative measures are needed to prevent blisters — and we strongly believe in prevention over treatment. Leather boots, even lightweight ones, are not appropriate for the Florida Trail. Leather is very heavy when wet, dries extremely slowly, and traps a lot of heat — a recipe for blisters. Instead, you want a shoe that water pours from it the moment you step onto dry land and then dries quickly as you walk. We discuss our shoe recommendations here. The benefit of boots is ankle support, which you don't really need on the FT. Ankle support becomes necessary in steep, uneven terrain and with a lot of weight on your back, but Florida's terrain is flat and if you follow our gear advice, you can keep your base pack weight at 20lbs or less. However, sandy soil and tree roots can still cause rolled ankles, which is why we recommend using trekking poles. Shoes should not be too snug or too loose — so bring the two pairs of socks you will wear when hiking to the store when trying on shoes. Ensure that there is ½ inch of space between your longest toe and the end of your shoe. Be sure that you have enough room to wiggle your toes inside the toe box, and your heel does not slip when you walk. Choose shoes that breathe well and dry quickly. In other words, shoes with lots of mesh and little leather as possible. The oldest trick in the book still works when your foot is submerged in water. Wear a pair of 100% nylon men's dress socks under a pair of thin merino wool socks. Paired together, this sock combination makes friction take place between the two socks and not between your foot and the sock, preventing blisters. Also, never bring untested socks on a long hike. Try out your sock combination at home first to make sure it's comfortable. The two-sock trick does not work with two pairs of nylon socks or two pairs of wool socks, or if the nylon sock is worn on the outside. It only works if a nylon sock is worn against the foot with a wool sock over it. Gaiters still provide benefits while walking through standing water. Without gaiters, mud, leaves, twigs, et cetera get into your shoes and cause friction against your feet. They also prevent your shoe laces from getting coated in mud, making them easier to untie at the end of the day. People tend to get blisters in the same places. Some hikers always get blisters between their toes, others on their heels. 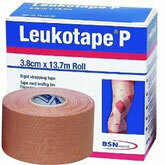 If you know where you are prone to blisters, cover the area with Leukotape athletic tape. We recommend you practice taping toes, heels, and the balls of the feet before leaving — it is important the tape be applied smoothly, without wrinkles, and not too tight. Wrapping one’s entire foot is unnecessary. Just tape the usual spots. We strongly discourage you from using duct tape or moleskin. These two hiker favorites do not work in Florida's wet conditions. Moleskin falls apart, does not adhere to skin once submerged in water, and the material soaks up mud and filth like a sponge. Even duct tape stops adhering after a few hours of swamp tromping. Leukotape, on the other hand, has an extremely strong adhesive that lasts for days even when completely soaked, and yet will not pull off skin when you remove it. It also molds to the contours of your foot better than duct tape and is cheaper than moleskin. Before a blister appears, you will feel a hot spot. As soon as you feel a hot spot, stop and apply Leukotape to the area to prevent a blister from forming. You can use self-adhesive elastic bandage if the hot spot is between your toes. After you get to camp it is important to take off your wet shoes and socks and let your feet dry out. After muddy hikes, very fine silt, clay, and organic material get through your socks and your feet will be dirty. It is important to clean this dirt away before letting your feet dry. Use some of your drinking water for this. Only after your feet are completely dry should you put on your bedtime socks. We have tried everything and say confidently that the usual tricks that work on the AT or PCT just don't cut it on the Florida Trail. 1. Waterproof shoes should be avoided completely, whether they have Gore-Tex liners, durable waterproof repellent (DWR) finishes, or another form of waterproofing. This may be counter-intuitive. After all, you’re walking through water, right? Yes, but this is deep water. Up to your knees at least. It will go over the tops of your shoes and fill up the shoe. Waterproofing traps that water inside the shoe and prevents it from drying. 2. Waterproof socks like SealSkinz seem like a great idea — they're tall and can be paired with a nylon dress sock to wick moisture away. This might work well if the problem was continuous drizzle, like on the AT, or snow like on the PCT but on the FT waterproof socks create the same problems as waterproof shoes. Water goes over the tops of the socks and fills them. The waterproof liner then traps that water and prevents it from drying. 3. Foot powders like Gold Bond or Dr. Scholls are popular on the AT and PCT, but they only help with moisture from sweat. On the Florida Trail, standing water turns the foot powder into goo. We have seen a blister covering half of someone's foot that ripped open. When blisters become really big, it's hard to prevent them from tearing. When this happens, on-trail treatment is insufficient. An often recommended treatment for blisters from runners, hikers, and military vets is compound tincture of benzoin. Available at any pharmacy, it doesn’t require a prescription but might be kept behind the counter. Tincture of benzoin comes in two forms, compound which is a treatment for damaged skin, and non-compound which is an inhalant. Benzoin is the sticky sap of Styrax trees and its stickiness helps tape or bandages adhere longer to skin, though this is not necessary if you use Leukotape. Some guides say that tincture of benzoin accelerates blister hardening and even recommend injecting it into a blister. However this causes intense burning pain when it touches raw skin. It has a reputation for toughening skin where it is applied and many long distance walkers/runners/hikers apply it to sensitive areas every day for a few weeks to toughen those areas. The trouble: Tincture of benzoin was invented in the 19th century and its many supposed benefits have never been evaluated by the FDA. Like vitamin supplements, it is legal to sell only because manufacturers follow certain regulations. We consider it a folk remedy with no merit — a hiker's urban legend — and do not recommend it. Athlete's foot (tinea pedis) is a rash caused by a fungus. It usually appears first between the toes, where affected skin may be itchy, red, cracked, and flaky. Mild cases are not a big deal but should be treated so that the fungus does not spread to the toe nails or other parts of the body like your groin. If allowed to persist, the cracked skin damaged by athlete's foot provides an entryway for bacteria, which leads to a serious problem called cellulitis requiring medical care. Products come in sprays, liquids and powders, but the most common is cream. There's nothing you can really do. All the steps outlined above for preventing blisters (keeping feet clean and dry at night, wearing non-waterproof sneakers over boots, et cetera) help mitigate the conditions that allow the fungus to flourish. Ultimately though, your feet are going to be warm and moist. Athlete's foot is communicable, and on the Appalachian Trail spreads via showers and bathrooms at hostels, just as it does in college dorms. Since the Florida Trail is little-used and there are no hostels, this is not an issue. Camp shoes should be worn if showering at one of the few campgrounds with showers on the FT (like in Kissimmee Prairie State Preserve, Ocala NF, and the Suwanee River camp). Is Athlete's Foot Worse on the Florida Trail? Surprisingly, no. Across this site we repeat again and again how humid the Florida Trail is. Humidity makes 50 degrees feel like 40, and 80 degrees feel like 95. It changes everything from the clothes and gear you carry to how to bandage a wound. It stands to reason then that athlete's foot would be terrible on the FT. After all, you are sometimes - oftentimes - standing in water.